BARCELONA, Spain (VIP-NEWS) — PrimaveraPro saw attendance rise significantly again this year, with the number of delegates up 31.6% year on year. The music industry conference takes place as part of the Primavera Sound festival and this year successfully moved to a new venue at the Convent de Sant Agustí in the central Barcelona district of Born. In 2014, PrimaveraPro welcomed 2,630 music industry professionals from 58 countries, including New Zealand, Brazil, South Africa and Japan. In total, 51% of attendees came from outside Spain. With a total of 115 conference events and 85 speakers, one of the most important trends to emerge from PrimaveraPro was a renewed feeling of optimism among the music industry, thanks to emerging markets – such as Latin American – which show a healthy appetite for international talent, and new digital tools which provide artists, managers, labels and live promoters with important data on music fans. 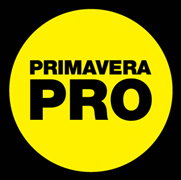 Key topics in the PrimaveraPro 2014 conference programme included the future of live music and festivals, the role of independent labels in the music sector and messaging apps and the music industry. Underlining PrimaveraPro’s role as a meeting point for the international music industry, the 2014 conference – the fifth to date – included roundtables on the Latin American, European, US, UK and Asian music markets. There were also public interviews with a number of notable figures in modern music, including enigmatic European pop star Stromae and City Slang label founder Christof Ellinghaus, who received the first Primavera Award. Spanish and international music industry organisations representing a number of different sectors also played an important role at PrimaveraPro, with IMPALA, WIN, Live DMA, Yourope, UFI, APM, ACCES, AEDEM, ASACC and ARC all meeting at the conference, using the event to discuss subjects such as the need for fairness in copyright payments and taxes on cultural goods, demonstrating how important these organisations are in unifying discussion around such crucial issues. PrimaveraPro also hosted a number of showcase gigs promoting new talent from countries such as Poland, Brazil, Israel, Italy, South Africa, Chile, Estonia, Canada, Luxembourg, Latvia, Lithuania and Spain.